The vastus lateralis is one of the muscles that makes up the quadriceps femoris, and is contained in the anterior compartment of the thigh. The muscles of the anterior compartment are all innervated by the femoral nerve and serve generally to extend the leg at the knee joint. In addition to the quadriceps muscles, the Sartorius muscle is also located in the anterior compartment together with the distal ends of the iliopsoas muscles. 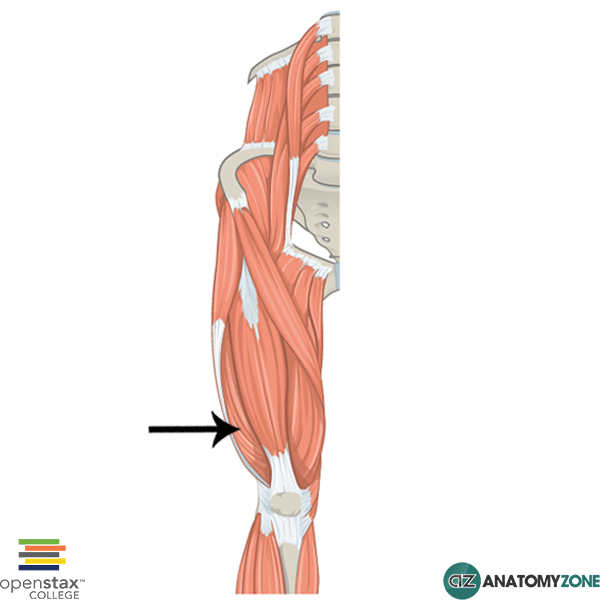 Learn more about the anatomy of the anterior muscles of the thigh in this tutorial.